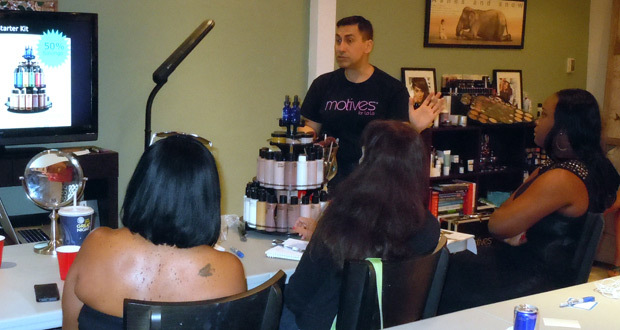 Motives Cosmetics offers an assortment of training for Motives Beauty Advisors, Pro-Artists, and Motives and Me Teens. Please use the contact form at the bottom of this page if you would like me to look up training near you. A minimum of four hours, open to all distributors and guests. This class covers product knowledge of Motives by Loren Ridinger and Motives for La La cosmetics. Students will see demonstrations on how to use each product, how to conduct a customer consultation and how to sell the products. This class teaches the importance of having the right mindset and attitude, goals, developing a plan of action; and expanding distribution by building teams of Beauty Advisors and/or UnFranchise Owners. This class covers how to conduct a customer consultation, basic understanding of the skin, skin types and skin conditions. This training is an overview of all of our skin care lines and products – Lumière de Vie, Cellular Laboratories, Timeless Prescription, Skintelligence, Fixx and special care products. A four hour class for distributors and guests to learn how to create perfect customized liquid foundation and why our custom liquid foundation is so unique. The class will focus on the art of consultation, color theory, how to make a Custom Blend and how to make money with Custom Blend. This is a complete training, demonstrating Motives Custom Blend liquid foundations. It is a hands-on training for Distributors to learn and practice blending formulas and building confidence, gaining the ability to conduct successful Custom Blend consultations and clinics. A four hour class for distributors and guests to learn how to create perfect customized mineral powder and why our custom mineral powders are unique. The class will focus on the art of consultation, color theory, how to make a Custom Blend and how to make money with Custom Blend. This is a complete training, demonstrating Motives Custom Mineral Powders. It is a hands-on training for Distributors to learn and practice blending formulas and building confidence, gaining the ability to conduct successful Custom Blend consultations and clinics. Please contact me using the form below and I will be happy to locate training in your state. I received your new request for information on training near you. Please email me your address to that I can look up the training in your state. I’m looking for training in the Atlanta area. I just checked our National Meeting Training and Seminar System. There are no Motives training showing up in the next couple of months in Atlanta. I will be sure to let you know as soon as I see that another has been scheduled. How did you hear about Motives Cosmetics? Have you tried any of our products yet? If you are not already working with somebody else I can put you in touch with somebody from my Atlanta team. Any classes near chicago? Or any in the US willing to travel! I’ve emailed you a schedule of upcoming training within a 1 hour drive of Chicago. I just emailed you an upcoming training schedule. I will send you a few email right now and also get you in touch with my team in Las Vegas so that you can meet up with them. Can you tell me if there’s any training in the northern Virginia area. I live in Centreville, VA. I emailed you back last week with the training schedule near your location. Any classes in Miami, Fl? I emailed you some information regarding South Florida training. There are some training coming up in Ft. Lauderdale on May 18th. Nothing on the calendar in West Palm Beach in the short term. I emailed you the list of upcoming classes. I am sorry. I just searched the system and there are no Motives specific training coming up in Indiana. If you are near a state border, I would be happy to check in a neighboring state for you. I just checked, and unfortunately, there is nothing on the schedule for the next few months in Indiana, Illinois, Kentucky, Ohio, or Michigan. We have our International Convention in Greensboro, NC in a month and more than likely the trainers are all focused on their travel arrangements. They will teach all 5 of the classes in Greensboro after the convention on August 10th and 11th. If you have another state that you are interested in I would be happy to search there as well. hi could u pls tell ,is there any upcoming event in New Jersey . Yes. There are some training coming up in NJ. I will email a listing of them directly. Hi I would like to become a distributor for Kenya as I travel there very often but I live in Dallas , is this possible to do ? I would like to discuss this with you in more detail. We do not have operations in Kenya, however, you could register here. Then, you could service your customers in Kenya through the global web site that comes with your distributorship. We do deliver to Kenya when orders are placed through the global site. OR, we also have a partnership with another company that would allow you to place orders on the US web site to have them delivered to a US address where they will be forwarded to Kenya for a small additional charge. I emailed you some information on training in Australia. I emailed you some information about the Motives Cosmetics business opportunity. 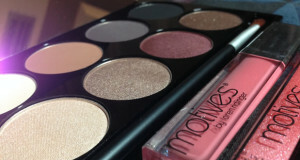 Please reply to my email with your address and I’ll also be happy to look up some Motives Cosmetics training near you. I am interested in making extra income, are there any upcoming motives training classes in the Philadelphia area? I emailed you a list of training in your state. Please write back if you are interested in more details. I sent you several email with information about partnering with Motives and also on upcoming training. All of the email bounced though as the email address that you provided is incorrect. Please message me your correct email address and I will be happy to resend them.